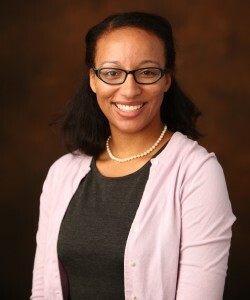 Dominique Baker (@bakerdphd) is a second-year assistant professor of education policy at Southern Methodist University, where her research focuses on student financial aid and equity in higher education. A prolific scholar (her CV is available here), her work addresses policy-relevant topics in a way that should be the goal of every assistant professor. (Also, SMU does a great job highlighting the research of their faculty members, which is a nice model for other universities to follow.) Her work is informed by her time working in college access, including one year in the Virginia College Advising Corps and three years in the admissions office at the University of Virginia. Her experience working with students from lower-income families led her to do research on student financial aid and allows her to bring real-world experience to studying the topic. Along with my Seton Hall colleague Richard Blissett—another great junior faculty member—Dominque published an article in The Journal of Higher Education examining potential factors associated with the development of student diversity movements on college campuses. The article got quite a bit of media coverage, including a piece in The Chronicle of Higher Education. Dominique also published a great article in The ANNALS of the American Academy of Political and Social Science with Will Doyle of Vanderbilt examining whether community college students who borrow have different academic trajectories than those who do not. They find a relatively small negative relationship between borrowing and long-term credit attainment, which adds to an interesting literature on the effects of debt.